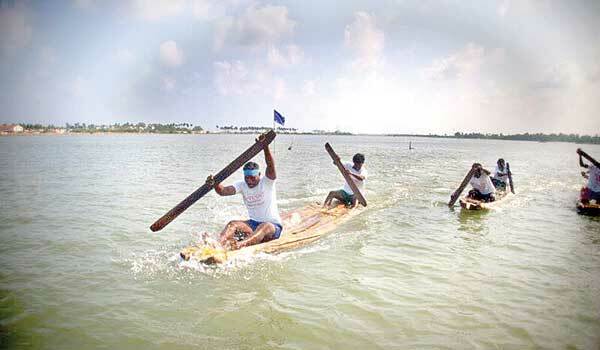 How deep is your love for the Pulicat Lake? For 300-odd villagers, hopefully a lot deeper than the lakeai??i? ?s present depth of 45 cm. This is a far cry from what it used to be about 60 years ago, with the water three metres above ground level. Hoping to sensitise the local populace on this issue, the AARDE Foundation is conducting the sixth annual Pulicat-Day at Pazhaverkadu in Tiruvallur on Saturday. Itai??i? ?s no coincidence that the festival is just a couple of days after World Wetlands Day, which fell on February 2. Expect activities like a catumaram race, kolam competitions, drawing for the little ones, a heritage walk and a generous serving from street folklore through the day. While all the buzz is likely to raise excitement levels, but certainly not water, Xavier Benedict, who started the initiative reveals, ai?? ?Events like these always draw attention. And thatai??i? ?s what we want to do really ai??i?? get the attention of the locals to sensitise them and the government to start up an exclusive conservation body for this lake.ai??? Xavier, who is also a professor of architecture at the MIDAS institute, has in the past collaborated with Anna University for a thorough documentation on the lake that was circulated across several universities back in 2010, and organised several meetings with government officials to take some action. This also includes raising a voice on the the lagoonai??i? ?s declining square footage because of real estate encroachments. Heai??i? ?s hoping to inspire a sense of urgency on the cause this year, when 50 or so catamarans are raced on a lake that has water less than two feet deep!